The majestic King River encapsulates all the King Valley has to offer. Excellent fishing, kayaking, white-water rafting, free camping or just plain wallowing! Paradise Falls- A truly remarkable natural wonder. Best viewed after a solid rain – easy access though a clearly marked walking path which does contain steps and is not wheel chair friendly. 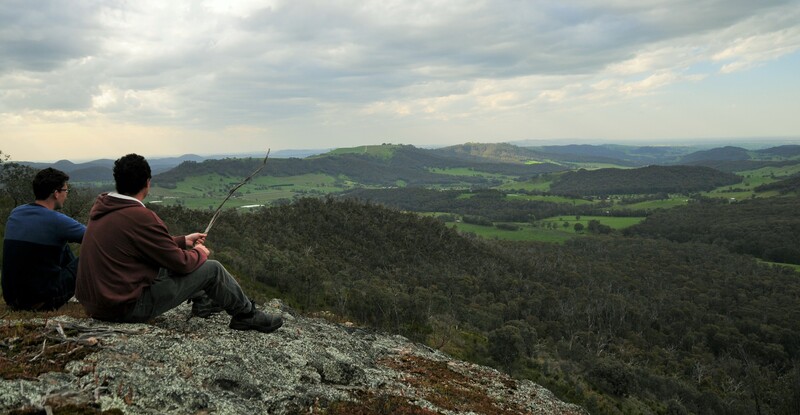 Powers Lookout- The lookout for bushranger Harry Power, best known for his tutoring of Ned Kelly in the wild ways. Lake Buffalo- Along with fishing and canoeing, waterskiing is allowed here. Fire Trails- Time, a map, and a dirtbike, horse or 4WD and you can travel from here to outer Melbourne, the coast, Mount Kosciusko or anywhere in between – Just make sure you are prepared, every year someone falls afoul of nature in Victoria’s High country. King Valley Challenge- This is not an activity for the novice athlete with a run, cycle and paddle event. However is also a 5km and 10km run for those who would like to join in on the action. King Valley Art Show-A wide range of art on display over the Queens Birthday weekend at the King River Brewery. It showcases many local and state artists and has a King Valley themes prize.